Special show presented by Northwest Ethnic Arts Collective in collaboration with Roots! Festivities from 6 to 10 pm include visual art show and sale by local African painters and ethnic fashion show. 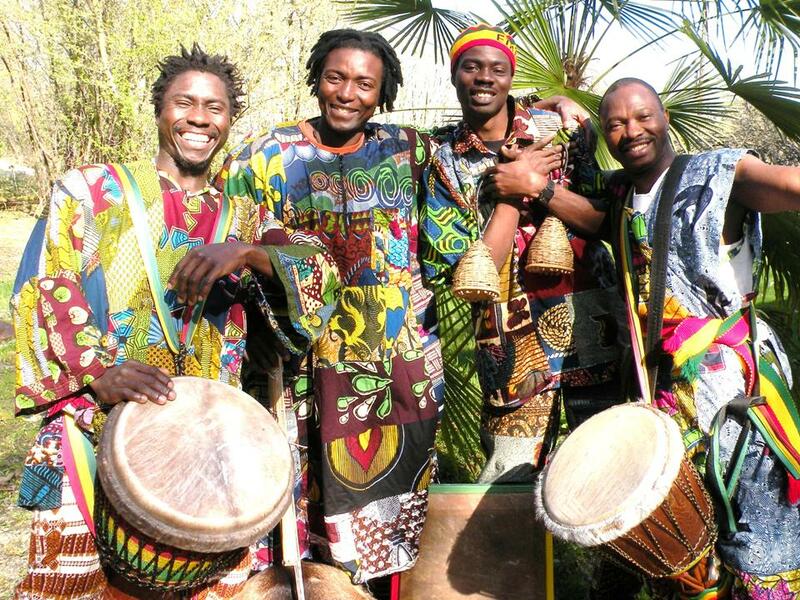 Music by Message From Guinea, featuring master Guinean drummer/dancers Manimou Camara and Abdoulaye Sylla, balafon virtuoso Naby Camara and guests! African Music Nites from 6-10 pm on Dec 18 only; Enjoy delicious Haitian food and stick around for Stress Free Sunday Reggae 10 pm til late. This entry was posted in African Music and tagged African Art, Music of Guinea. Bookmark the permalink.